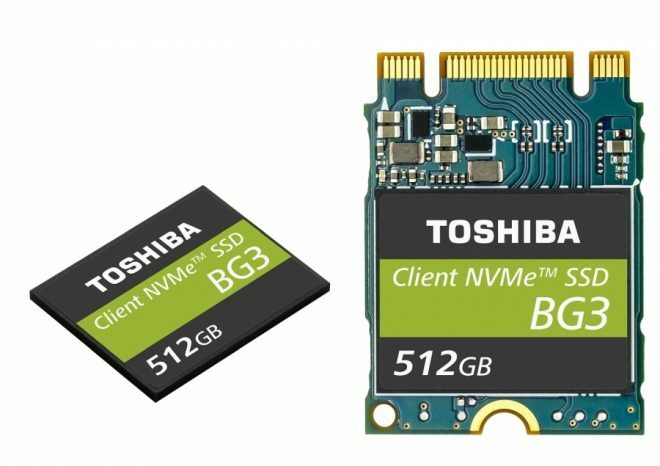 Toshiba America Electronic Components (TAEC) have unveiled their faster new SSD flash storage BG3 NVMe SSDs storage, which will find its way into tablets, phones, and laptops starting this year. BGA stands for single-package ball grid array and this new SSD storage from Toshiba isn’t just faster but consumes less power than previous NVMe SSD storage units. And at 1.3mm in thickness, this is the world’s thinnest flash storage, making it suitable for tablets and phones. One reason why it’s faster now, is that it uses the Host Memory Buffer (HMB), a host memory for flash storage which does without the traditional integrated DRAM. On the technical side, the Toshiba BG3 SSDs are launched with 128GB, 256GB, and 512GB capacity options, with 1520 MB/s read speeds, and 840 MB/s write speeds. So that’s a 2.7 times higher read, and 1.5 times higher write bandwidth than 6Gbit/s storage. The PCI Express aka PCIe is version 5 Gen3 x2 lane with the NVMe revision 1.2.1. 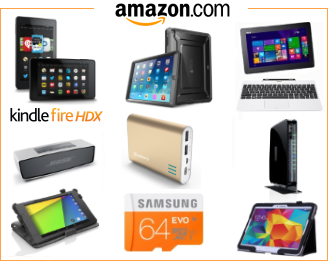 These storage units will be great on tablets and 2-in-1, since they come in options of integrated flash units, or removable units (module M.2 2230 standard). Only a few tablets and 2-in-1’s have removable storage today, but maybe Toshiba will change that a little with these new storage units. A lot of tablets and 2-in-1’s on the market today run Toshiba flash storage, but Toshiba’s even faster new BG3 SSD flash storage will be demonstrated in California next week, and will find its way into new mobile devices in a few months months.